Victoria Beckham has been sharing the inside track on her fitness regime by tweeting a snap of her newest gym accessory. There’s no chance of Mrs B letting her exercise regime slide, especially not with the achingly cool personalised trainers she’s been rocking of late. 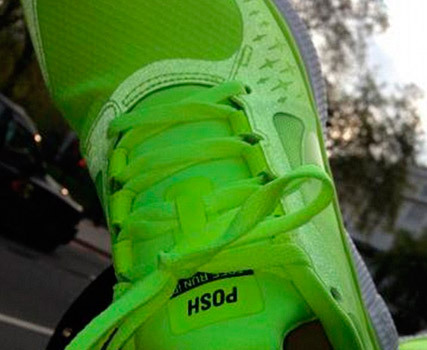 The designer shared a photo of her new purchase (or celeb freebie, we presume) with her Twitter fans as she headed out for a run last night. The fluro green Nike ID running shoes are emblazoned with the word ‘Posh’ on the tongues – a nostalgic throwback to her Spice Girl days. But this is not the best pic Victoria has tweeted in the last few days. Oh, no. 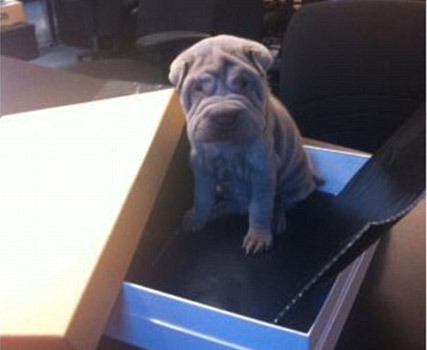 Yesterday, the mum-of-four also posted a photo of the most adorable puppy, possibly in the entire world.